The Santa Cruz Triathlon is a non-profit event. The race has donated more than $1.5 million to Santa Cruz County high school athletic programs, UC Santa Cruz Swim Program, Cabrillo College's athletic programs, Santa Cruz Track Club and Santa Cruz Triathlon Association in its 34 years — including a record $64,000 in 2016.. Students from these schools serve as race-day volunteers. Your participation in this event is appreciated! Swim (1.5K): Brisk ocean swim around the Santa Cruz Municipal Wharf. Water temperature is usually in the mid-50s, so wetsuits are strongly recommended. Bike (40K): Challenging out-and-back rolling ride via scenic West Cliff Drive and coastal Highway 1 to the historic town of Davenport. Run (10K): A flat-and-fast, out-and-back dash along the ocean. Our Sprint Triathlon Course is the be the best sprint race in NorCal. The course — 700 yard swim, 12 mile bike and 3.1 mile run — is ideal for beginners or returning racers not quite up for a full Olympic distance triathlon. Sorry, athletes under 13 years of age will not be allowed to compete in the Sprint. Racers must be 14 for all events. Newly added is a one-mile Open Water Swim race. The course is clockwise around the Wharf from the Boardwalk to Cowell Beach. There will be one wave, including men and women. The race will take place around 8:30 a.m., after the Olympic Triathletes have started. All race entries are non-transferable. All entrants agree to our refund and transfer policy at the successful completion of online registration. Refunds will be processed for medical reasons only. Cancellation requests must be submitted in writing with a supporting doctors note no later than 72 hours prior to the event (9/24/2017). You may email us here. 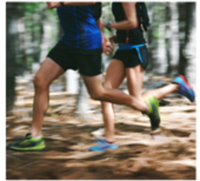 A 50 percent credit towards next years race will be applied to your account. If a relay team member is injured and unable to race on race day, a written cancellation request must be accompanied by a doctors note and submitted no later than 72 hours prior to the event (9/25/2016) to allow the uninjured relay teams to re-register. A full refund minus processing fees will be provided to relay teams if procedures are followed. Under USA Triathlon rules, participants found racing under another persons name will be disqualified and could be barred from USA Triathlon membership for one full year. Participants could also be barred from racing in future Santa Cruz Triathlons. Open Water Swim directly follows the Olympic start, likely around 8:30 a.m.
Olympic racers, please arrive in Transition Area no later than 7:15 a.m. to be body-marked and rack your bike. There will be a safety meeting at the Swim Start on Main Beach at 7:45 a.m.
Sprint racers, Transition Area opens at 8 a.m. Please arrive no later than 9:15 a.m. to be body-marked and rack your bike. There will be a safety meeting at the Swim Start on Cowell Beach at 9:45 a.m.
Friday, Sept. 22 from 4:30-7:30 p.m. at Sports Basement in Sunnyvale. Saturday, Sept. 23 from 10:30 a.m. to 3 p.m. at the Spokesman in downtown Santa Cruz. on race morning beginning at 5:30 a.m. ($15 race day pickup fee applies). 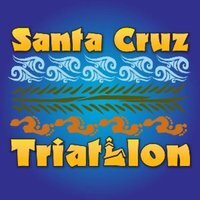 Find course maps, parking infomation and suggested lodging on our website, www.santacruztriathlon.org.